He stands among the most celebrated contemporary French painters and his skill of engraving. Although he was faithful to the figurative tradition, his ample output was enriched by his personal vision. This artist was very widely travelled. His style of drawing and painting lent itself particularly to colour lithography . Brayer's work is represented in various museums and numerous collections both in France and abroad. Exhibitions of his work bring him fame in several countries : first in Paris, then throughout France, and later Europe and the United States. 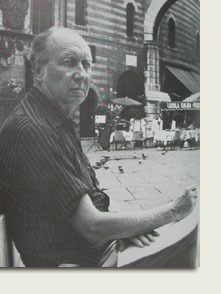 Yves Brayer died in 1990. The Bibliothèque Nationale celebrates his 70th birthday in 1977 with "Yves Brayer, Graveur".